And my oh my, what a great time we had!!! Each afternoon, when the guys were done with their conference, we played in the water, hiked the National Volcano Park, snorkeled, and all around enjoyed ourselves. The beaches and lava cliffs were absolutely stunning. I could have sat and watched the waves crash for hours. I am so memorized by the way water moves, it is like a dance. And when the men were in their conference, Barbara and I hit the streets for some shopping. There are 7 quilt shops on the big island and we managed to visit 5 of them (2 we only drove by because they were on the other side of the island and the men didn't want to stop on our way to snorkeling, can you believe that?? :) Each shop was so fun!!! 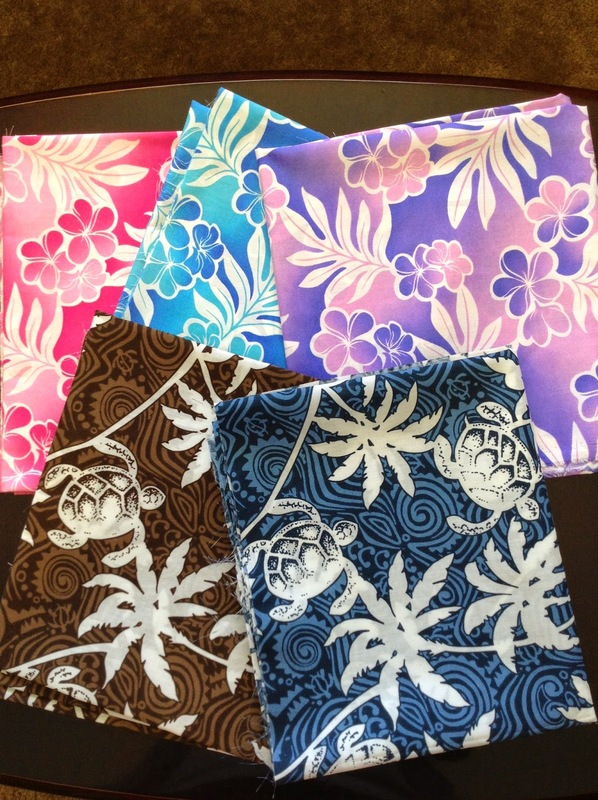 I especially loved finding fun Hawaiian prints. Aren't these so cute!!! I wanted to take a bit of everything home, but that whole limited suitcase room really hampered my style. So in the end, I decided to focus on prints that I couldn't get back home. We got back to Cedar yesterday afternoon to find snow. But it's okay because we were welcomed with lots of warm hugs from the little ones who we missed dearly ;) And I got 2 fun fabric packages in the mail while I was gone, which is always a warm welcome as well!!! Oh, man, I would have just said, "We need to make a trip to the post office!" You can fit soooo much in those Priority Mail boxes... If it fits, it ships! Ddi you ship to yourself? 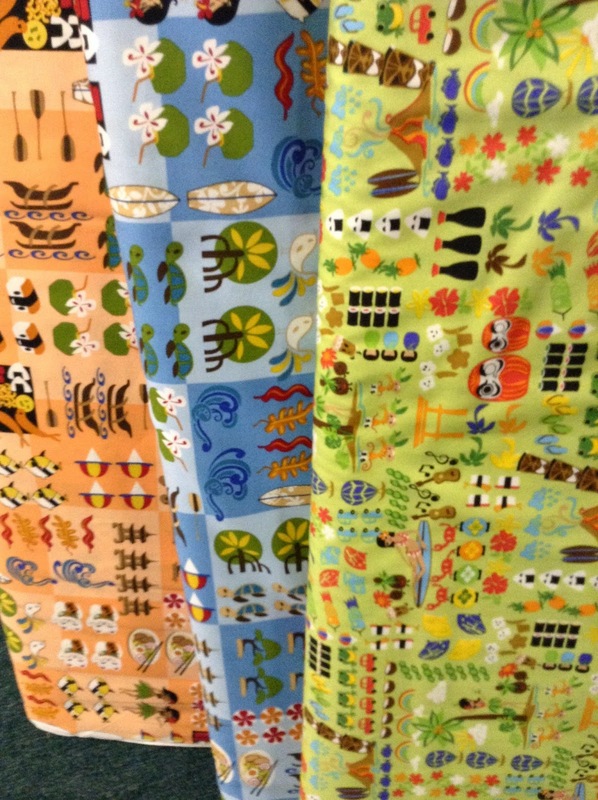 Cute fabrics! I bought a charm pack back in 2001 and havn't seen it since I got home... wonder where it went? Glad you and Barbara got to have some Beach fun! I am jealous! I bet you went to Quilt Passions. That shop gave me a real appreciation for batiks. I couldn't get enough of admiring the walls of batik fabrics. Plus I loved all the honu (sea turtle) projects! Lucky you, would love some fun in the sun, right now. 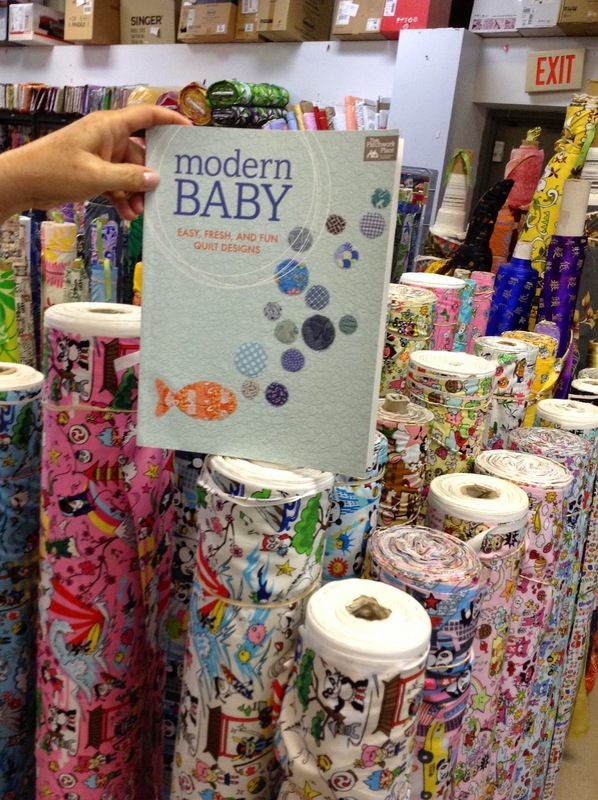 Beautiful fabrics and they will be fun to work with. Oh my goodness, as a fellow Cedar City dweller, I can't imagine adjusting the weather change! Love your blog! It is such a pretty place to visit. The fabric stores are an added bonus! Love the fabrics you brought back with you. Lucky you! I tagged along to Maui a few years ago when my husband was speaking at a conference. But I never did get to look for a quilt shop while there. But the fun in the sun and sand was more than enough and I definitely want to go back someday. Sounds like you had a great time, and how fun to be a celebrity so far away from home! 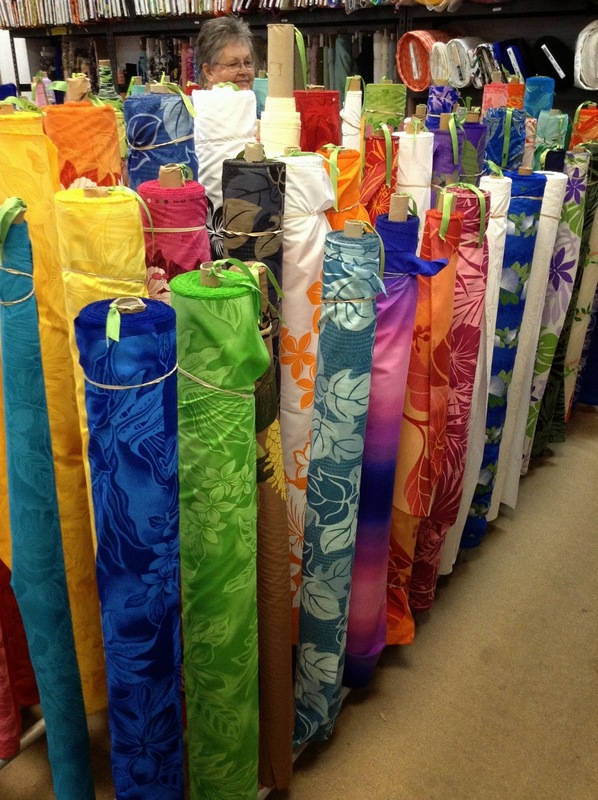 sounds like you had lots of fun in Hawaii and got to see lots of wonderful fabrics too. Must have seemed so quiet without your children. 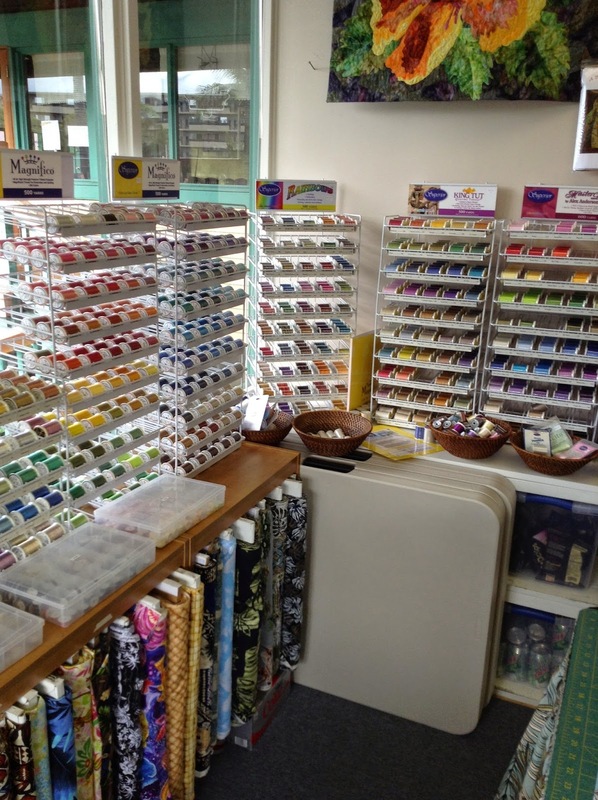 How fun to visit the quilt shops in Hawaii. It is interesting how men just can't seem to get the car to stop when they drive by a quilt shop. I do have to say that on my last vacation I was indulged by getting to spend some time in a quilt shop. My husband even went in with me and seemed to enjoy himself so maybe there is hope there yet for more visits to quilt shops. How fun, cant wait to see you next summer!!! I love your block for Vol. 10, colors and all. I love the Big Island! Every February they have a month long Quilt Shop Hop! I am blessed and so spoiled that my sister now lives there, and we plan my annual visit to coincide with the Shop Hop. Also, in February, they have Quilting On The Beach, a 3 or 4 day sewing conference with a variety of classes to chose from. Beautiful Kona accommodations! You gotta go back!